Dr. Masato Terada is the Technology and Coordination Designer for Hitachi Incident Response Team (HIRT), the leader in vulnerability handling and vulnerability database throughout their careers. 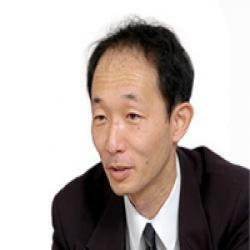 Also he is the Chief Researcher at Yokohama Research Laboratory, Hitachi. After launching HIRT activities in 1998, he launched a research site, a predecessor of JVN: Japan Vulnerability Notes (http://jvn.jp/) in 2002 and acted as a point of contact for HIRT in order to promote external CSIRT activities, including participation in FIRST, an international CSIRT organization in 2005. After he launched the Nippon CSIRT Association in 2007 with 6 Japanese CSIRT teams and has tackled improving the capability of CSIRT community as Steering Committee Chair of the Nippon CSIRT Association since 2014. Also he has workd as a visiting researcher at the Information-technology Promotion Agency (IPA)(ipa.go.jp), a senior advisor at JPCERT Coordination Center (jpcert.or.jp), a steering committee member at ICT-ISAC Japan (ict-isac.jp) and a visiting professer at Chuo University.